Hi! On this page we have posted some photos from Christmas 2000 and ourlatest vacations. Enjoy! 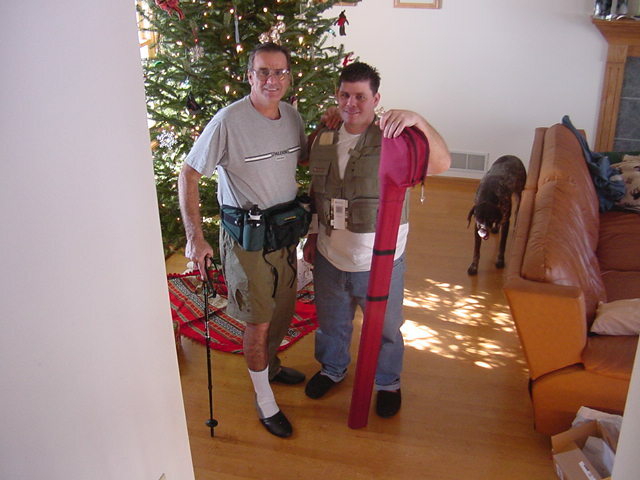 Dad is ready for hiking, David is ready for some flyfishing, and Murphy has already eaten half of his bone.